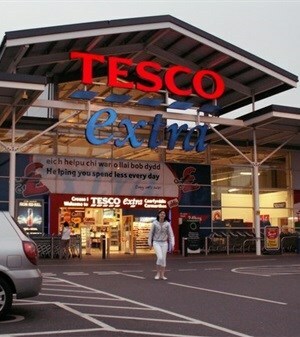 UNITED KINGDOM: Academics at Loughborough University have helped Tesco reduce its carbon footprint and save on its energy bill by proposing alterations to the working practices of its store staff. The four-year project explored the UK business’ energy usage and efficiency through data evaluation, as well as one-on-one interviews with workers and managers, focus groups and observations across hundreds of the company’s UK store metering network. The research shows how goal-driven incentives for each worker coupled to careful job design can bring about radical reductions in energy use in the retail environment. “As the UK’s largest retailer, Tesco had already significantly invested in technological innovations in store to save energy,” said Prof Dainty. “It felt that there was an opportunity to augment this with other interventions aimed at bringing about behavioural changes from its staff and approached Loughborough to explore its store operations from a socio-technical perspective. Before Prof Dainty and his team were commissioned to conduct the research, each of Tesco’s 769 UK supermarkets had relied on in-store ‘energy champions’. Prof Olga Tregaskis, of UEA’s Norwich Business School, said, “Aligning training and performance management human resource processes with how jobs are designed can be a powerful lever in delivering significant organisational performance outcomes. Human resource practices and jobs design can help organisations deliver not only on performance efficiencies but also wider societal wellbeing outcomes, in this case energy reduction. Between 2010 and 2014, the Loughborough team worked with Tesco to amend the job descriptions and working practices for every in-store role. A series of changes were gradually implemented across a range of test stores with a control group being used to allow the effects of the measures to be understood. The outcome was a saving of £4 million in the first year that the new responsibilities were put in place. “The programme of measures have now been adopted in the form of performance targets and energy checks,” continued Prof Dainty. “Energy consumption and checks on energy use is now an integral part of the performance expectations of the workers – it’s about foregrounding energy as an important factor in daily performance. “Perhaps most importantly, the research has demonstrated how energy consumption can be reduced without detrimentally affecting other performance criteria such as sales and the customer experience,” he concludes.